Design patterns are a necessity for developers, but lately, a new batch of design patterns are required to compete in the IT world. After learning about Microsoft Azure on Saturday at the Microsoft building, I thought this would be a great time for another collection post. Yes, I know I'm a little behind on cloud technology, but after Saturday's all day, hands-on "in the cloud" at the Microsoft Global Azure Bootcamp, it got me stirred up about looking at cloud solutions. 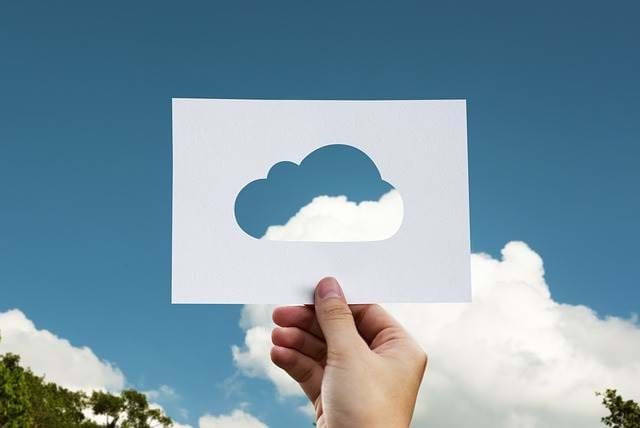 The big three in the cloud market include Microsoft's Azure, Google's Cloud Platform, and Amazon's Web Services and each one has a large offering. It'll take a while to learn everything each one has to offer. So if someone said they are a cloud expert, I would definitely raise an eyebrow because there is just so much to cloud computing, no one person could know everything about everything. One of the comments I keep hearing from people using cloud services is that you are constantly learning new technology. It's like shooting a moving target. For example, as soon as one person masters something and starts looking into another area to learn, the next week or following week, an update is pushed out and something changes. In the meantime, this collection of cloud pattern links and good books will keep me busy for a while. Microsoft created an infographic to show all the required components of a cloud platform. It even includes a PDF version to hang on your refrigerator (on second thought, better hang it up in your cube instead...mom might pass out). As you are aware, Microsoft has a lot of material on cloud computing. Here is their design patterns for building reliable, scalable, secure applications in the cloud. Moving away from Microsoft for a while, the Cloud Computing site is "a community site dedicated to documenting a master patterns catalog comprised of design patterns that capture and modularize technology-centric solutions distinct or relevant to modern-day cloud computing platforms and business-centric cloud technology architectures." Quite a mouthful. This book by Springer publications has a number of authors who teach the "fundamentals to Design, Build, and Manage Cloud Applications." Be wary of the price. The last time I checked, it was $104 US, but with cloud technologies the focus and with it being so hot of a skill, it may be worth the price. While this is a wiki-like page, it still holds some of the more interesting patterns in regards to Amazon. Each function is based on a particular feature set in Amazon with links to explain it in more detail. Great for an Amazon cloud primer. Microsoft Azure is definitely vast and wide, which is why so many books are available on Microsoft Azure. Personally, I just ordered this book to find out more about Azure. It may seem overwhelming at first, but if you are familiar with certain technologies, chances are you'll be able to adapt to the environment and learn from there. One example is Microsoft. Since I've grown up with Microsoft, I understand the concepts and technologies. They are a little different, but looking at it in the cloud, it's a different spin with a cloud-based approach instead. In my first attempt at Microsoft's Azure Bootcamp, I was able to create a sample ASP.NET MVC Core website, update and upload the source code to Visual Studio Team Services (their source control cloud services previously called Visual Studio Online), created a build and release profile, and deployed the project. I'd say that was an accomplishment. Is there a cloud architecture or patterns link I missed? I AM new to this, you know. Post your comments below and let's discuss. [UPDATE: 2017-04-24 - PM] LOL...I JUST received an email from Build Azure. It seems they read my mind. So head over and subscribe to the BuildAzure newsletter to stay up to date.